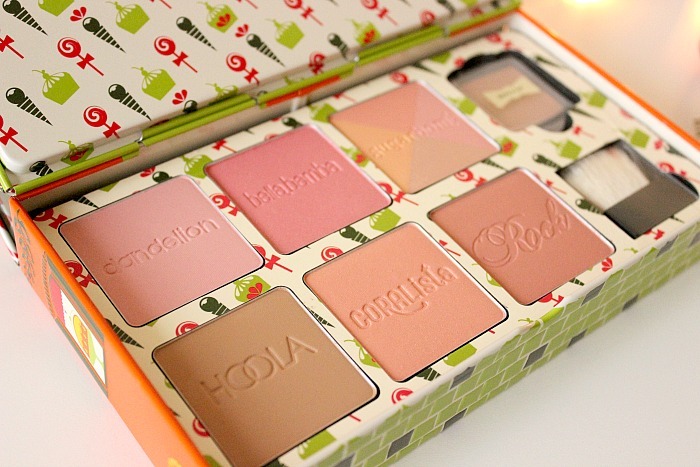 Benefit always seem to bring it when it comes to Christmas time, and this year they haven't left me disappointed. 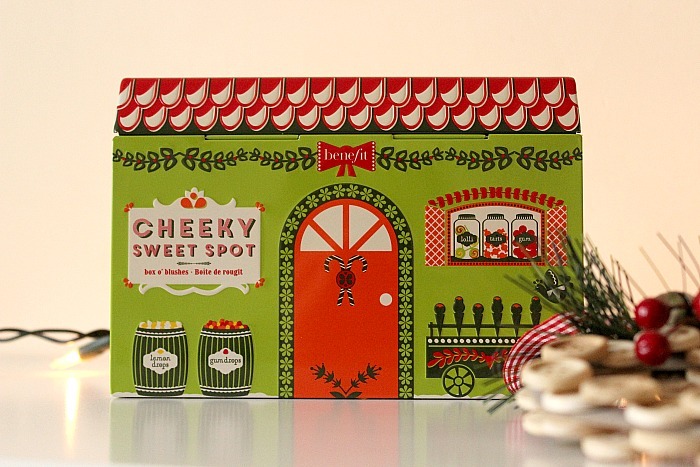 They usually choose a theme to go with their Christmas gift sets, and this year they've chosen the Sweete Shoppe theme. I had a hefty build up of Boots Advantage Card Points and decided to treat myself to the best of the best (in my eyes) of their gift sets. 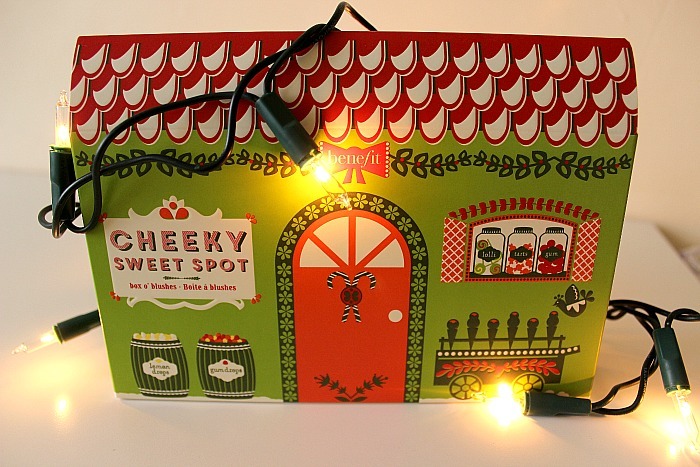 The Benefit Cheeky Sweet Spot Box O' Blushes Gift Set is packaged in the most adorable little tin that looks like the front of a traditional sweet shop. 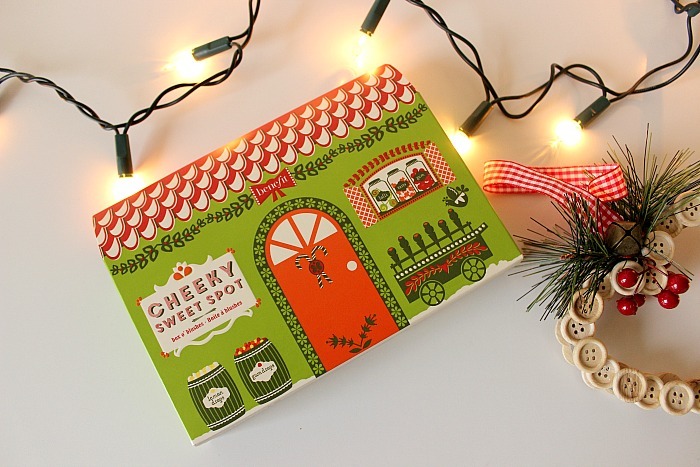 I'm a sucker for cute packaging and I have to say that this is by far the cutest product I own. I was pleasantly surprised at the size of this aswell, as when I ordered it I expected a big chunky house that would take up half of my dressing table, but it's so compact (smaller than my 7" Nexus) that it will actually fit nicely in my drawers with the rest of my large palettes (although I do think it's too cute to be stuffed in a drawer, but least I have the option). 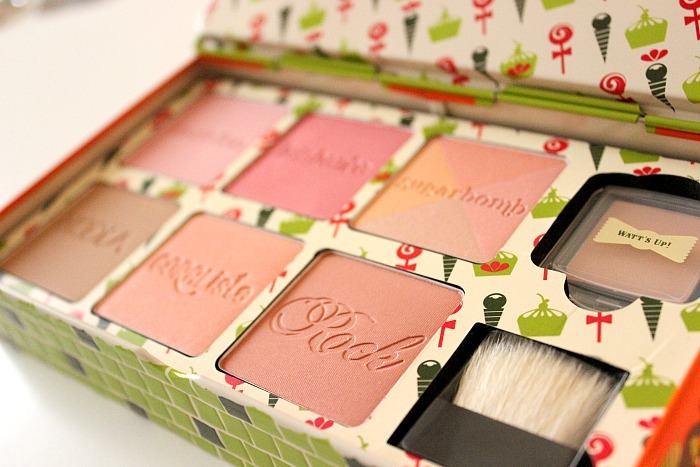 I've seriously been lusting after this set since it first launched, because this is the first time that Benefit have brought their bestselling blushers/bronzer together in the one gift set. 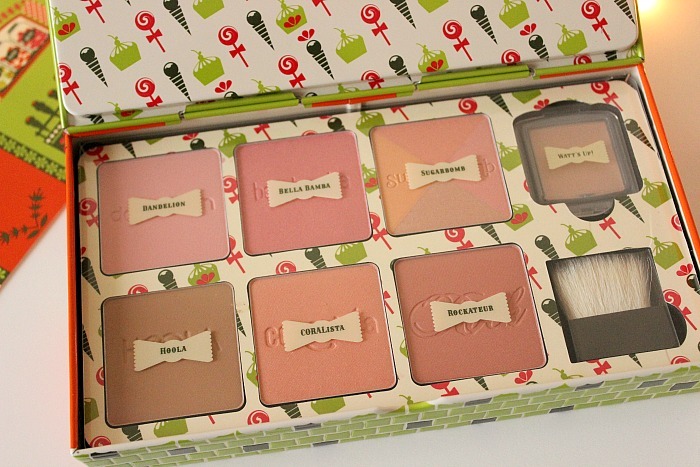 PLUS a bonus sample sized Watt's Up Highlighter. Benefit's Boxed Blushers come in at between 5g and 8g for full size and cost £23.50 each, with Rockateur being the smallest at 5g, which is the same as you get in the gift set. Given that this gift set costs only £29.50 - yes £29.50, this means you're getting an additional 5 blushers and a highlighter for just £6 more than a full priced boxed blush. 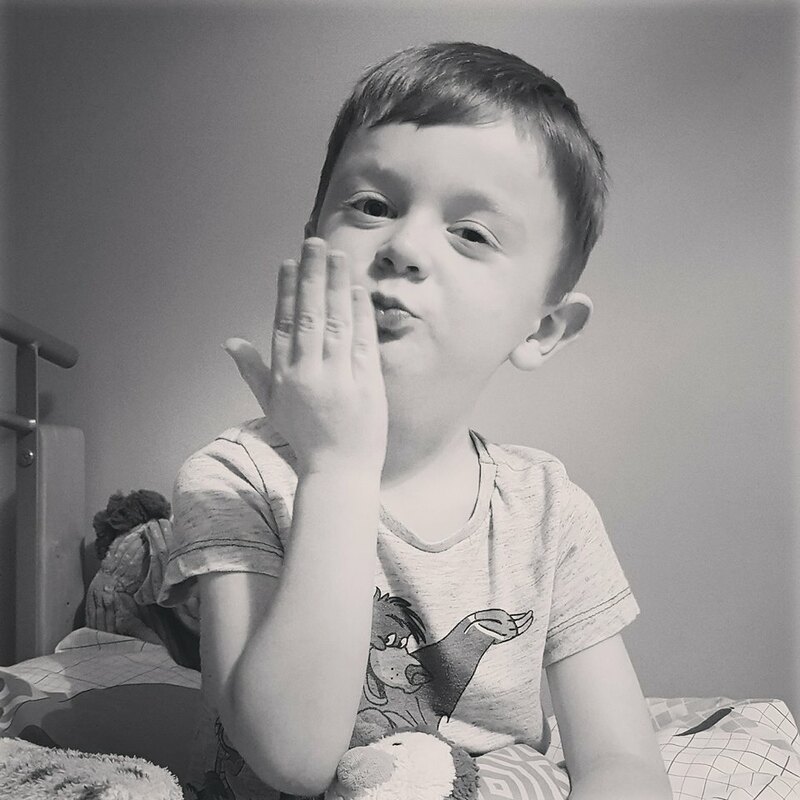 How amazing? I honestly can't believe the value of this set and I'm really surprised that it hasn't sold out yet! I'm absolutely over the moon to have got my hands on this, I only owned Bella Bamba on it's own before, cos let's be honest, at £23.50 each, I think it would have taken me a very long time to get all 6 in my collection. It's almost too pretty to use, but I know I will get a lot of use out of this set, and I can't wait to get playing with it.